Chilled food can be kept out of the fridge for up to 4 hours, but this can only be done once. Please indicate if a dish contains any of the above allergens. 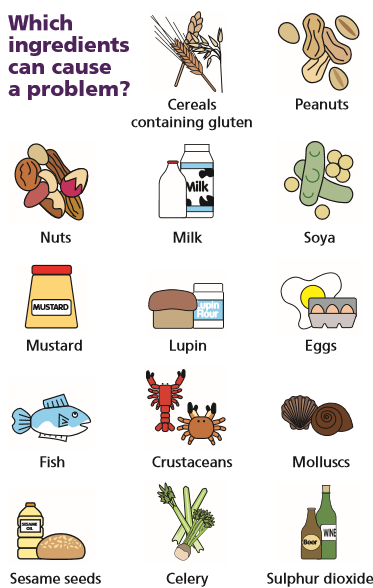 If you are unsure whether a dish you have prepared contains an allergen, please say “may contain”. A simple note accompanying the food will be sufficient, for example, “Leek and Potato Soup – contains celery”, or speak to the team leader.